Sony is firming up the cast for its remake of The Grudge with the addition of two-time Oscar nominee Jacki Weaver, Betty Gilpin, star of the Netflix series GLOW, William Sadler, and Frankie Faison. 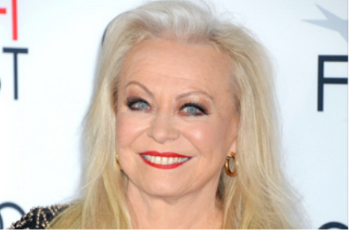 Veteran Australian actress Jacki Weaver, who gained fame stateside for her Oscar-nominated turn in 2010's "Animal Kingdom," never expected to break out into American cinema. That is, until a kind stranger predicted the Academy Award nod she'd garner after one of the film's earliest screenings. In addition to its fourth season renewal, there has been plenty of casting news coming out of DC’s Legends of Tomorrow. The most recent being Jes Macallan who has been promoted to series regular in the superhero series. Yellowstone is set near the titular national park and explores the violence needed to maintain the largest contiguous ranch in the United States. It arrives on the Paramount Network this June. The L Word alumna Rose Rollins has booked a key series regular role opposite Katie Holmes in Fox's FBI drama pilot from former Empire showrunner Ilene Chaiken. Directed by McCarthy’s husband Ben Falcone and in the same vein as the 1986 Rodney Dangerfield classic Back to School, Life of the Party follows recently dumped housewife Deanna (McCarthy), who is looking for a new lease on life by going back to college — and it just so happens it’s the same college her daughter attends. Irreplaceable You, directed and produced by Stephanie Laing and written by Bess Wohl, follows Abbie after she discovers that she has late-stage cancer. The 25th edition of the South by Southwest Conference and Festival have unveiled its robust lineup which includes JINN in the Narrative Competition. Crackle, a Sony Network, today announced a February 8th premiere for the high-octane, sci-fi thriller In the Cloud from Imperative Entertainment and Automatik. 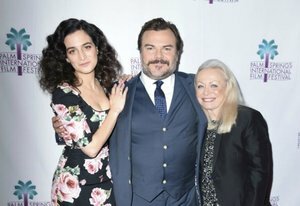 Netflix Just released the first trailer for its Jack Black-starring comedy The Polka King, which it picked up in June at Sundance for high figures.